Darkhorse: Illinois State. 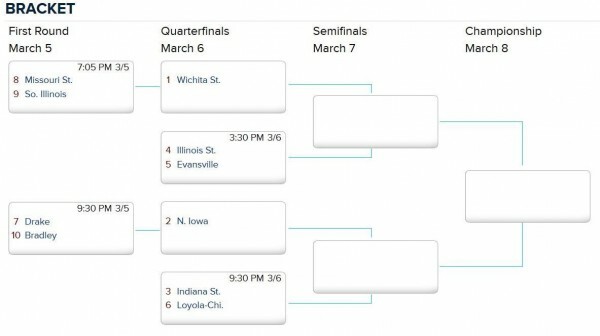 Can the Redbirds steal an NCAA Tournament bid? Probably not, but they are riding a four-game winning streak into St. Louis and played both Wichita State and Northern Iowa tough at home this season. Of Illinois State’s 11 losses, eight were decided by six points or fewer, so perhaps Dan Muller’s well-balanced team is due for some lucky bounces. 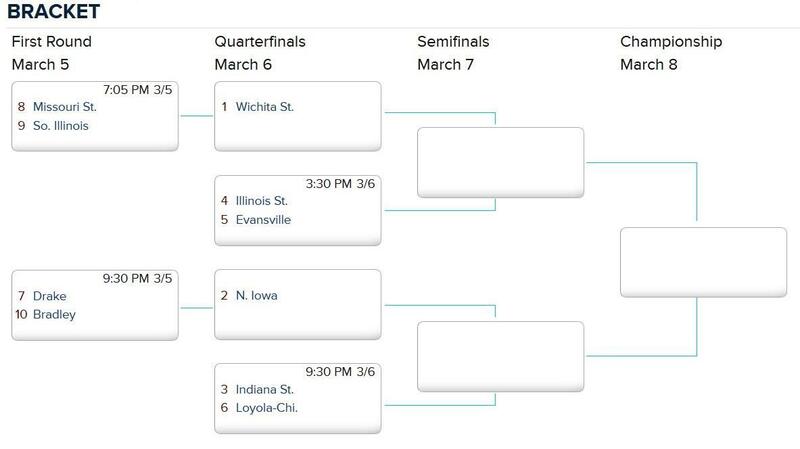 Who wins: Wichita State. The Shockers turned the ball over just three times in their 14-point victory over Northern Iowa last Saturday, including zero from Fred VanVleet and Ron Baker. That kind of poised guard play is invaluable in a tournament setting and should serve Wichita State well in a potential rubber match with Northern Iowa. Big man Darius Carter (11 points, six rebounds) did a better job against Seth Tuttle over the weekend, and ‘glue guy’ Evan Wessel (3-of-6 3FG against UNI) has been more of a scoring threat in recent games. Oh, and last I checked, Gregg Marshall still paces the sidelines. Player to watch: Seth Tuttle – Northern Iowa. If the Panthers leave Arch Madness victorious, Tuttle will have a lot to do with it. He is an excellent shooter (66.3% eFG), passer (3.3 APG) and defensive rebounder (22%) whose interior defense helped Northern Iowa limit opponents to just 43.7 percent shooting inside the arc. There’s a reason the 6’8” senior won Missouri Valley Player of the Year over VanVleet or Baker – he’s really, really good. This entry was posted on Thursday, March 5th, 2015 at 10:31 am by Tommy Lemoine	and is filed under microsites, other 26. Tagged: arch madness, evansville, feature, Fred VanVleet, gregg marshall, illinois state, missouri valley, northern iowa, ron baker, seth tuttle, wichita state. You can follow any responses to this entry through the RSS 2.0 feed. You can leave a response, or trackback from your own site.